My husband recently decided to change positions at work. He took a new position and thus was leaving his crew to go to a new crew. The guys on his crew were all pretty close and so they were sad to see him go. Last week was his last week on the crew and my husband wanted to bring in some great food to celebrate his last week with his crew. I made bars for him one day and he brought donuts another day and the last day he brought in our favorite cocktail meatballs. I’ve been making these forever and they are always a huge hit at parties. These were the perfect food to bring in to work too because you can make them in the slow cooker and they are beyond easy. 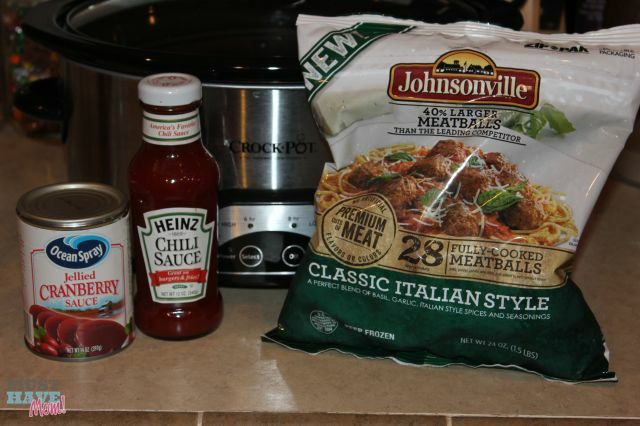 All you need is a bag of Johnsonville Italian Style Meatballs, a jar of Heinz Chili Sauce and a can of Ocean Spray Jellied Cranberry Sauce. Then you just dump it all in the crockpot and cook it on high for 4 hours. It really doesn’t get much easier! 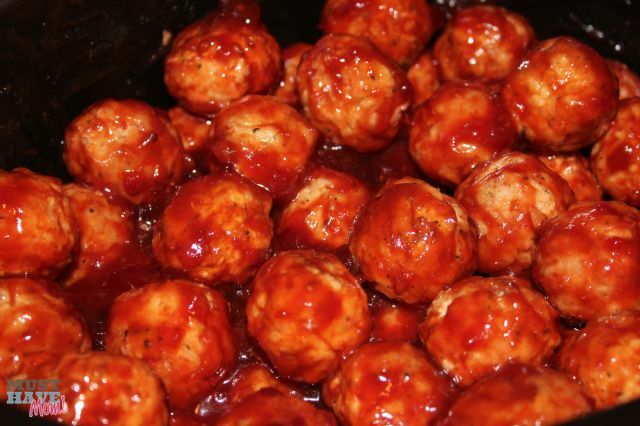 You wouldn’t think that combining chili sauce with cranberry sauce would taste very good, but it makes a great sauce for the meatballs and tastes amazing! You can also make them on the stove by combining the sauces in a pan and cooking over medium-low heat until smooth. Then add your meatballs and cook for 15 minutes or until meatballs are heated through. It’s SO easy and a definite crowd pleaser! 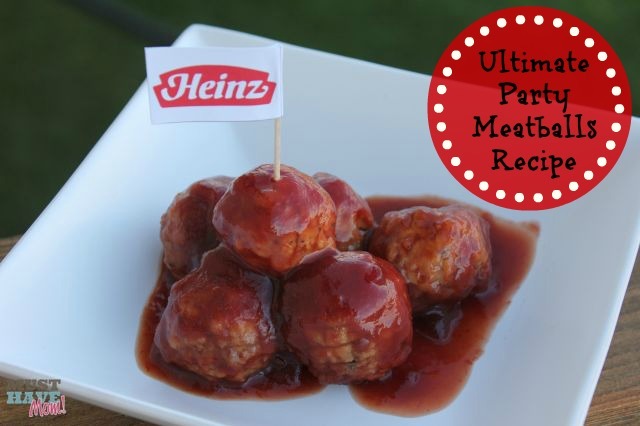 Print this infographic below for the Ultimate Party Meatballs recipe! 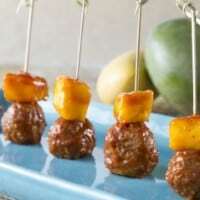 Have you tried these meatballs before? What did you think of them? Thanks Sarah – and Congratuations on your husband’s new job! First let me say that I find it so heartwarming that even though he is moving on – your husband has such a warm connection and comraderie with his current co-workers – and moreover that you are the kind of person (people) who would be so authentically generous and thoughtful to thank and celebrate this moments with his fellow crew-members. THAT is so nice and heartwarmingm really. But I must say this recipe does sound good – and your positive experience with a company who products I have always like it about a good a recommendation as I could hope for. Definitely will try this at next large get together – probably and annual Halloween Pot-Luck Party. Thanks again and all best wishes to you, yours and your husband’s new job! Thank you so much for your nice comments Jesselyn. My husband started his new position today and is loving it! I’m so glad 🙂 I agree with having the terrible meatball experience in the past. My kids are even picky when it comes to bad meatballs because they’ve been spoiled with my husband’s family’s homemade Italian meatballs. The Johnsonville meatballs were a great store bought meatball though! Definitely way better than others I’ve tried! Let me know what you think of them! 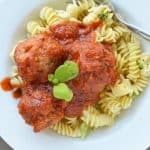 Both my Honey/Hubby are pretty good cooks too – and we have several favorite “recipes” (we never really FOLLOW a recipe) – we especially like LAMB Meatballs made with Ground Lamb, Feta cheese, Kalamata Oilves & Spinach!) – but for any kind of casual group get together – I can’t afford to spend either the money or the time to make homemade. So THESE sound perfect for those type of gatherings and “tis the season” (almost) when there will be A LOT of those kinds of occasions. I can tell just by looking at the combo of sweet & savory that it’s bound to be a hit with most people – and if you’ve finally found a pretty good frozen meatball – I’m sold. I’ll ask the manager the next time I’m at the market. Meanwhile – glad to hear your husband’s new job is off to a good start – I’m sure it will only get better as he learns his way around and makes new friends. Yummy! I honestly go to my friend’s Christmas party every year just for the meatballs he makes. I’ll have to try this recipe. What a great way to say goodbye to former work colleagues! This sounds like an interesting recipe…I would never have thought to try cranberry sauce like this, but now I’m really curious. I’m thinking tailgate food. This I am definitely trying. I love the combination of the cranberry sauce and the chili sauce. I know this will be a winner. These look so good and very easy to make. Thank you for sharing. They look really good, they would be good for a party. This sounds so good! 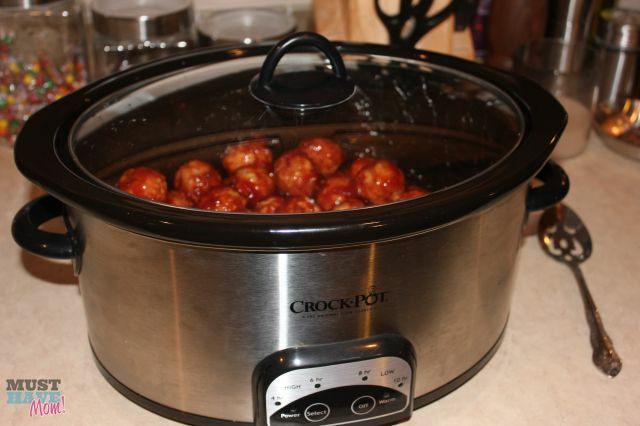 We had a meatball recipe in the crock pot tonight for dinner! This is the way to do it!!! When I first notied the photo of these delicious-looking meatballs, I felt two thing – hunger pangs, and empathy for all the work and mess. Then I see how you did it, and I’m marveling! 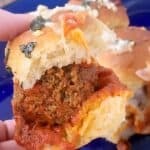 Everyone loves meatballs at holiday get togethers, and making them this way would save me so much time. Nice!! looks amazing and love how it is soooo easy to cook since im not very good in the kitchen. Thanks for this great recipe, should be making it for the hubs really soon!!!! Love meatballs! Especially in sub sandwiches. 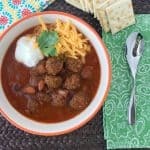 Easy to make in a crock pot too.